We all hit rough patches. Divorce, job layoff or relocation, or mortgage payments just becoming too much to handle. Whatever the reason, you are now in the position of needing to sell your house fast for cash in Atlanta. Selling your house for a fair cash amount and getting out quickly could be your best option. Understanding the process and knowing how to get your house ready for sale may help. 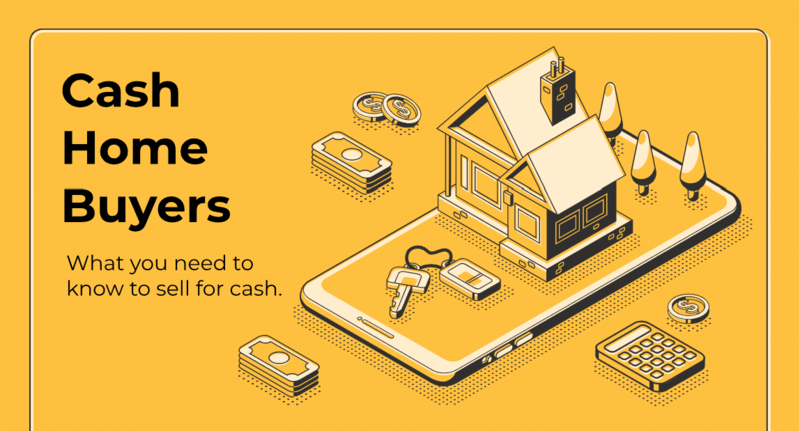 Why Is A Cash Offer Better For A Seller? In real estate, the highest offer is not always the best offer. The cleanest offer is the best offer, as it takes most of the risk out of the transaction. When I say clean, I mean with fewer contingencies. Such as obtaining financing from the bank, a structural survey, an appraisal, and so on. Sellers will often accept a lower, all-cash offer over a higher priced offer based on conventional financing. This is because they know the cash offer is guaranteed to close. It involves fewer stumbling blocks. When selling to a buyer that needs bank financing, several things can go wrong. Banks may not approve the loan. The appraisal may not come back high enough. Pre-approval may not equate to how much the buyer can actually get approved for. A buyer that does not need an extra two or three weeks to secure financing can often complete a sale faster. Cash buyers usually only make the contract contingent on inspection. Once these contingencies are complete, closing can take place within 30 days. A faster closing puts money into the seller’s pocket sooner, and there are fewer things that can go wrong. With a cash home buyer, no financing is needed. Most deals fall apart these days due to the buyer’s bank financing. Cash transactions are generally cleaner and can be closed in as little as 14 days, depending on the title, survey, etc. whereas financed deals can take 4 to 7 weeks, or even more. Check out this blog on What to Consider Before You Sell My House for Cash. Can You Sell Your House For Cash? You can sell fast and get paid in cash in 7-30 days. You won’t have to pay any fees or commissions, and usually, the investor will pay all closing costs. Most investors can buy your house “as-is” and won’t require you to repair anything, clean anything up, or even remove everything from the house. How Quickly Can A House Sale Go Through? Once you’re under contract, a cash sale can close in as few as two weeks — just enough time for the title and escrow companies to clear any liens, provide insurance, and get paperwork ready (more on that later). A cash sale also removes the all-too-familiar drill of accepting an offer only to lose the buyers at the last minute when they can’t qualify for a loan. Once the cash is passed along, there’s no backing out or last-second cold feet. Such cash sales typically close in 1 to 3 weeks compared to about 4 to 7 weeks on a conventional sale. Also, cash sales are typically “as is,” so there’s usually no major repainting and repairs needed. There are some very appealing pitches for contacting one of the ‘cash home buyers’. Here are some of the pros that may appeal to you. The big promise is that you can get an instant home offer and find out how much you can get for your home right away. Some may provide rapid offers. Others will then want to speak on the phone and come out and inspect the property before they will make an offer. Another big lure of this way to sell a home is the speed. It’s nice to know that your closing is coming up, and you can make new life plans. True all-cash buyers can typically close within a few days, providing they can get any title work, insurance, appraisals, and inspections done, and the closing agent can accommodate the closing. The nice thing about this model for many homeowners who are already selling because they are tight on money or are losing homes to foreclosure is that these buyers typically won’t require any repairs or updates to be made. They aren’t going to give you any extra credit for staging the home and making it prettier. They are planning on doing that themselves, and their design ideas are probably a lot different from yours. This saves you money on putting more money into a property you are just trying to sell. Many of these investors may be able to buy your home in challenging scenarios that turn off other buyers or in which no lenders will loan a buyer money to purchase the house. You can reach these buyers online through the MLS or your Realtor’s contacts too. Though some of these cash buyers specialize in purchasing deeply distressed properties. Generally, after locating a solid possibility, people buying a house for cash will want to make sure some kind of purchase-and-sale agreement has been drawn up. A title is a legal way of saying you own a right to something. For real estate purposes, the title refers to ownership of the property, meaning that you have the rights to use that property. Next, they are likely to conduct a title search to make sure the title is clear, with no liens or other encumbrances. And then they will want to know what kind of deed you are offering, for example, quit claim, warranty, or special warranty. Deeds, on the other hand, are actually the legal documents that transfer title from one person to another. It must be a written document, according to the Statute of Frauds. If all these things are in order, the cash buyer will make an offer. A buyer offering cash will feel she has more bargaining power because the sale doesn’t depend on a third-party loan and the inevitable wait. You can always make a counteroffer if the first offer doesn’t suit you. Since this is a cash deal, you and the buyer can set the closing date for a time convenient for both of you. Usually much sooner with a cash deal. You simply show up at an attorney’s office with pen and cashier’s check in hand. Pricing your house right is probably the best step you can take toward making a fast sale for cash. It’s what gets people to consider your house in the first place. If your price too low, buyers will think something is wrong with the house, and a too-high price may make it sit unsold for a long period with the same result. It pays, then, to check out comparable house values in the area and price accordingly. Don’t get caught up on what homes are LISTED for. Homes hardly ever sell for what they originally listed for. Instead, focus on what similar homes have actually SOLD for in your neighborhood. Curb appeal is what creates that critical first impression and gets them to stop and come in the door. So sprucing up the yard and the house’s exterior are definitely worth the time and expense involved. And it doesn’t take a lot. Really – maybe just some lawn clean-up and minor landscaping, a little roof repair, touching up paint, and dressing windows. Skip this when selling to an investor. We will most likely make those changes ourselves when we renovate the property. Getting to ignore this saves you more time and money. It always pays to sweeten the deal to make it more attractive for buyers. The tried-and-true principle of reciprocity tells us that people are willing to give more (sale price) if they feel they are getting something in return (the deal sweeteners). For example, you could offer to pay some or all of the closing costs, or you could offer to provide a transferable home warranty, which would cover, say, major appliances and/or the HVAC systems. If you need to sell your house fast and are looking for someone buying your house, these tips and steps will help you close a cash deal. But there’s, even more, you can do to get a better cash offer and expedite the sale. If selling your house fast for cash is something that can potentially solve the problems that you are facing, fill out the form and get a no-obligation cash offer on your house. We won’t be the highest offer, and we don’t work with everyone, but we can tackle any tough problems you are facing.